I have been going to Tracy’s Pilates for horse rider’s classes for about 8 months now. Tracy is a fantastic knowledgeable instructor who takes care of individuals, gives specific advice, watches everyone carefully to make sure they’re doing it right, moves bits of you if they are in the wrong place! The class is very relaxed and we have great fun with lots of laughter but it is equally challenging, My core strength and range of movement have both increased considerably which has greatly improved my riding position. Absolutely brilliant! I’ve done Pilates over many years but never like this! The difference she’s made is incredible to how I do everything, especially riding! Tracy has opened new dimensions as to what correct Pilates training can achieve and in a uniquely qualified package! Her eye for detail and exceptional knowledge of human and equine movement, and rider position pitfalls; her personal journey from life changing injury to better-than-ever mobility ; her intelligent and clear direction plus warm humour combine to make every lesson a true masterclass! Tracy’s a walking, bending, stretching living testimony to the power of Pilates. Can’t get enough of it! I have been attending Tracy’s Pilates classes for several months and I love the way she teaches. Tracy does not miss any incorrect positions and explains movements and exercises very clearly. Classes are small and personal and are geared towards the rider and to help improve the horses way of going. I have felt the benefit in my posture, and my riding instructor commented on my upper body riding position being much improved. This was illustrated today in my prelim dressage score at my riding club members show when I scored over 76% . My riding instructor and Pilates instructor Tracy deserve credit for the much improved score that I got today. I really look forward to my Pilates evenings and am very disappointed when a course finishes, and cannot wait for the next one to begin. I am very much enjoying and benefitting from Tracy’s Pilates for Riders course at Moorwards farm. After slouching both on feet and horseback for over 60 years, I hope I am at long last getting a better posture (my instructor says so!). Highly recommend Tracy. Tracy’s Pilates for horse rider classes are fun, encouraging and informative. My back pain has reduced and I am now a lot more aware of my position on the horses that I ride. Superb physio. Tracy has treated me and my horses and is extremely knowledgeable. Pilates classes for horse riders are also excellent. Highly recommended. 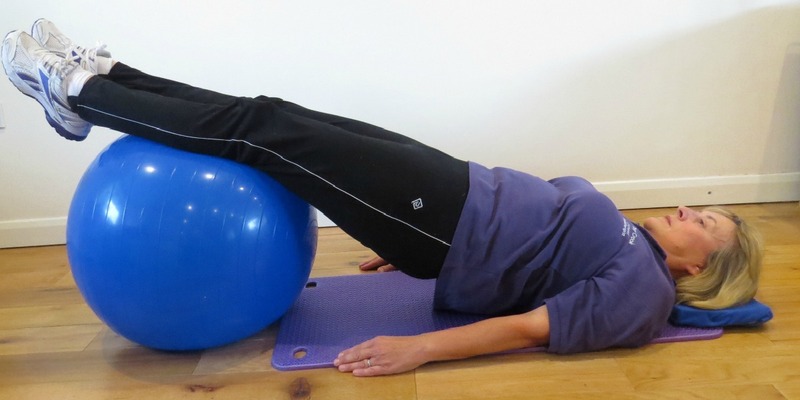 I highly recommend Tracy – for Pilates, and for human and equine physio! Always happy to help, she has a wealth of knowledge and experience, and really thinks problems through. 5 Star Pilates Review: I have greater stability and am learning to work the body with more control and independence. Tracy is an excellent pilates instructor and equine physio, she helps both me and my horse with our straightness and core strength. The fact that Tracy works on both horses and riders means that she can help to rectify ridden problems very effectively, getting to the source of problems and using non-invasive and progressive strategies to resolve them. She has a holistic approach and has definitely also improved my horse’s comfort and health by suggesting changes to his management and routine. Tracy works hard to stay at the leading egde of new developments in physiotherapy and is happy to share her extensive knowledge. Highly recommended.